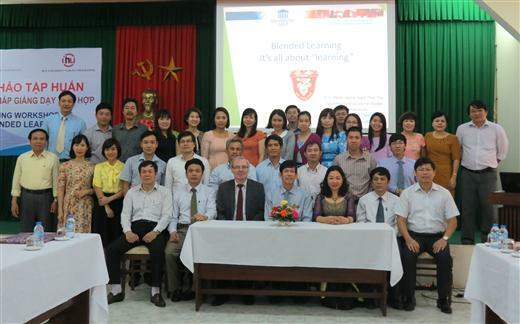 Within the framework of the Institutional University Cooperation program (VLIR-IUC), in order to create an opportunity to exchange experience and discuss new teaching methods, Hue University in collaboration with Hasselt University and Ghent University (Belgium) organized a training workshop on Blended learning at the College of Education - Hue University on 21.03.2016. Attending the training workshop were board of rectors and academic staff majored in pedagogical methods from all of its faculties. 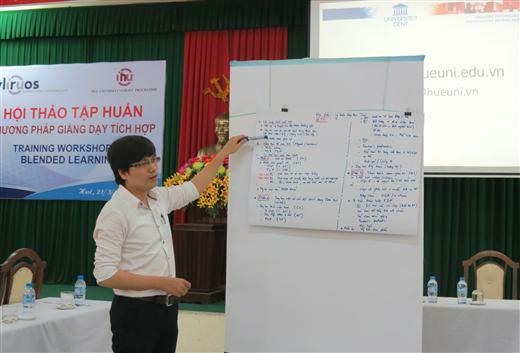 Opening the training workshop, Prof. Nguyen Tham - Rector had a welcome speech in which he highly valued the workshop. He believed that the training workshop would be beneficial to academic staff as well as the college. At the training workshop, the expert team including Prof. Gerrit Janssens and Thai Ngoc Thuy from Hasselt University and Ghent University, Belgium presented the basic and advanced aspects of blended learning and online learning, web-based teaching, group discussion, orientation questions, feedback, etc. The discussion sessions were very lively with many arguments. The initial connections between the parties involved in the training workshop being established were the foundation for future cooperation. 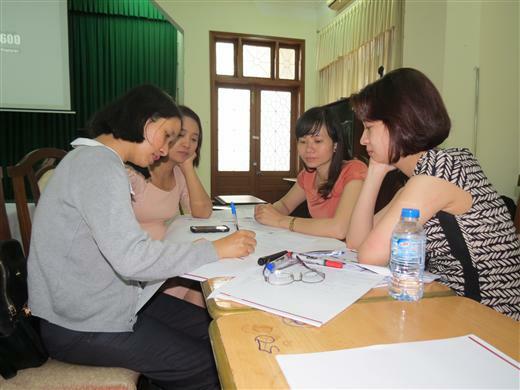 The training workshop ended with fruitful results for the participants, contributing positively to the reform of teaching methods of the college in the time to come.